Development site near the corner of Riverwatch Parkway and Stevens Creek Road. 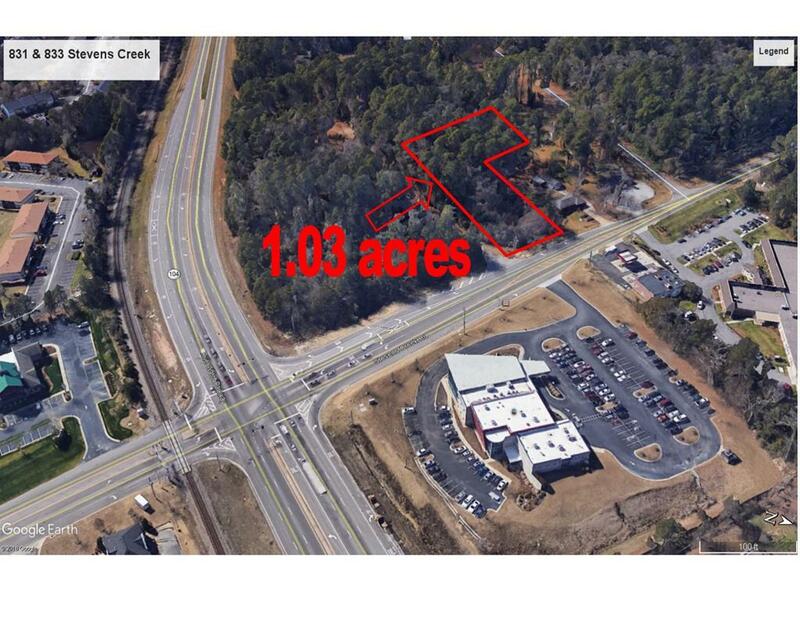 This 1.03 acre parcel is level and ready to be developed. Riverwatch parkway is a major arterty that connects the suburbs of West Augusta and Evans to downtown Augusta which is experiencing an influx of business and investment. Property has great exposure and visibility with over 100 feet of frontage. 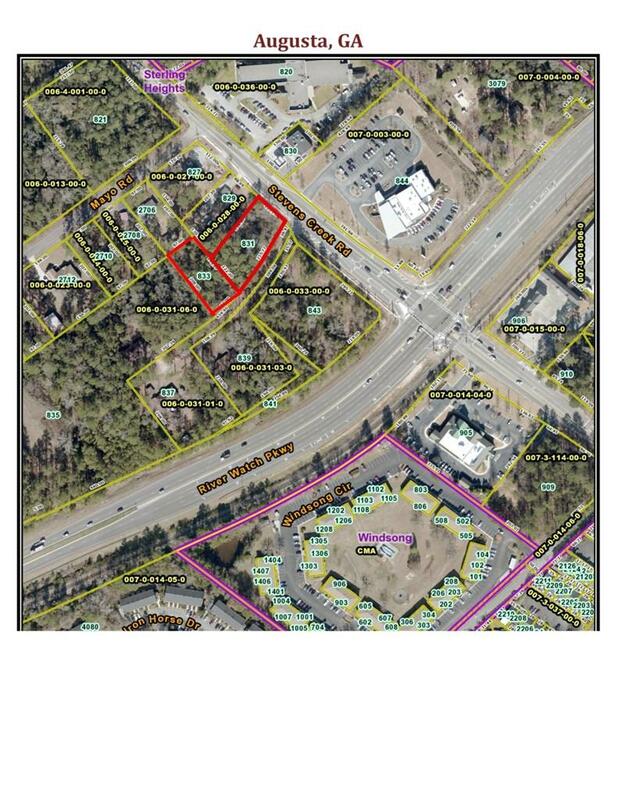 Sale includes TWO parcels which are parcel numbers 006-0-029-00-0 AND 006-0-030-00-0 known as 833 AND 831 Stevens Creek Road in Richmond County.